Nothing topped returning to Buffalo for Thanksgiving week during the years I lived away from home. Sure, my mother’s home-cooked Thanksgiving dinner was second to none. But the few days at home also provided an unparalleled opportunity to eat as many of my favorite Buffalo foods as possible – and reconnect with old friends in the process. Buffalo’s longtime favorite sandwich – carved roast beef served on a salted hard roll with caraway seeds – is starting to garner national attention. 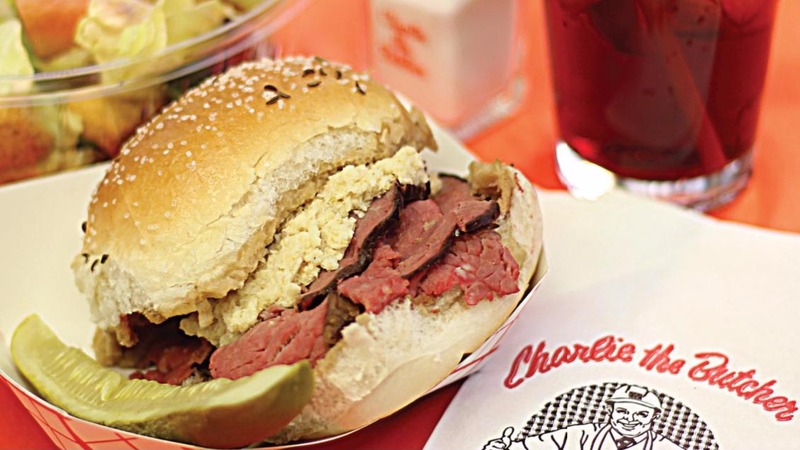 Some of the most popular spots to grab one include Schwabl’s, Bar- Bill Tavern and Charlie The Butcher. Friday night was pizza night at my family’s house growing up, and that meant a steaming hot cheese and pepperoni pie from Bob and John’s La Hacienda. 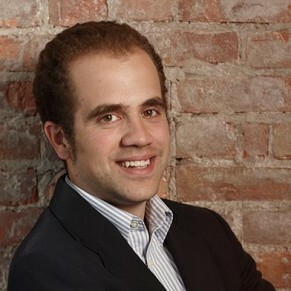 No matter where else I lived, nothing compared to Buffalo-style pizza, a hybrid between a Chicago deep dish and New York thin slice that earned accolades from The Daily Beast and USA TODAY . 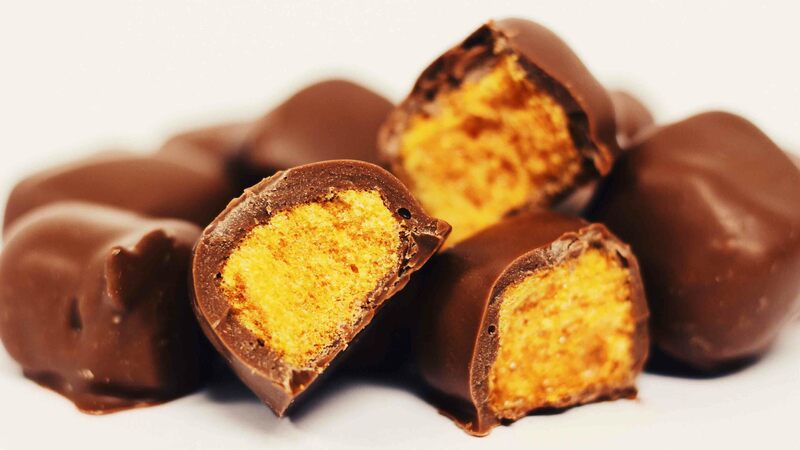 Buffalo is in the heart of the “sponge belt,” an area spanning from Syracuse to Erie where visitors can find sponge candy, a sugary confection covered in chocolate. I’ve recently taken to pairing it with sponge candy stout, a Resurgence Brewing Co. concoction featuring Buffalo’s favorite confection as a main ingredient. Another “only in Buffalo” dish: a bowl of spaghetti covered in mozzarella cheese and accompanied by a side of marinara sauce. 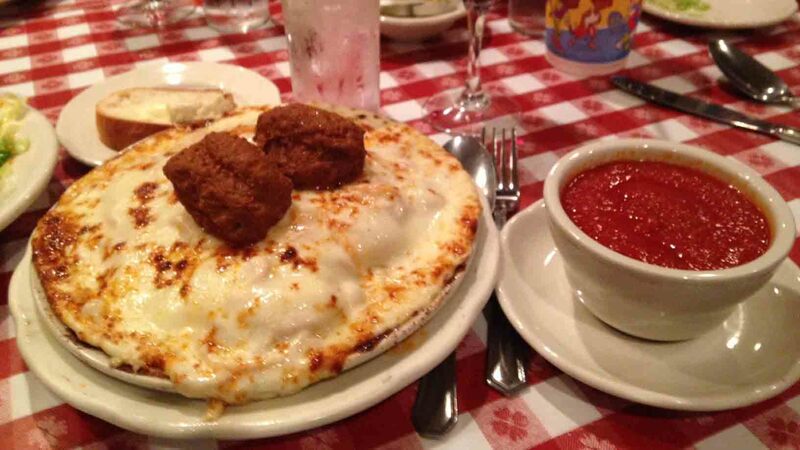 Served at long-time Italian restaurants like Chef’s, this is Buffalo comfort food at its finest. It wasn’t until I moved elsewhere that I realized how rare it was to find restaurant hot dogs grilled on an open bed of charcoal. Ted’s Hot Dogs is the go-to spot; ask for your Sahlen’s “extra charred” and with the works (including Buffalo’s own Weber’s Mustard) to give it a little extra kick. It’s a Buffalo tradition: a massive slab of beer-battered haddock, complete with French fries, cole slaw and macaroni salad. Fish fries were a staple of the Lenten “diet” for me and thousands of other Catholics growing up in Buffalo, but thankfully can now be found year-round at a number of spots. Gene McCarthy’s in Buffalo’s Old First Ward has one of the best. 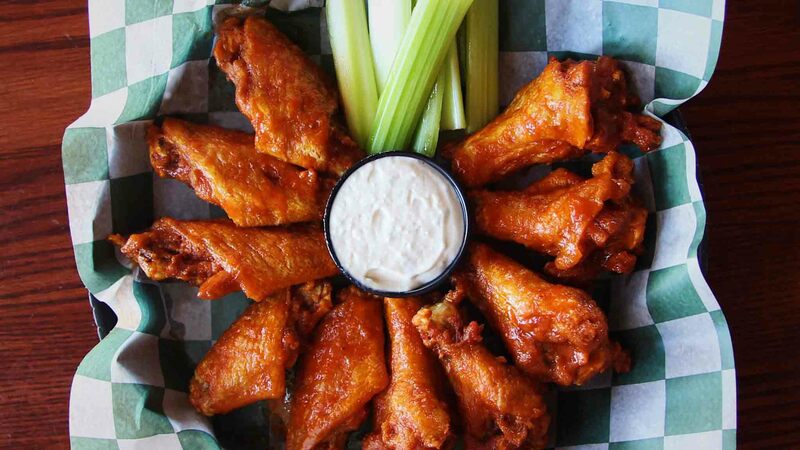 No Buffalo-themed food list would be complete without them – so much so that we even created the Buffalo Wing Trail! Just called “wings” here, there are lots of great options around town, but a visit to Gabriel’s Gate in Allentown ranks as one of the city’s best wing spots for many Buffalonians. Aside from being a classic Buffalo pub, the wings here are, in my opinion, just the right combination of flavor and sauciness.